The advertisement about B.o.B was coming to Jakarta was too sudden to be noticed. Even when I emailed my editor, to ask whether I can cover about the concert or not, there was no serious intention. 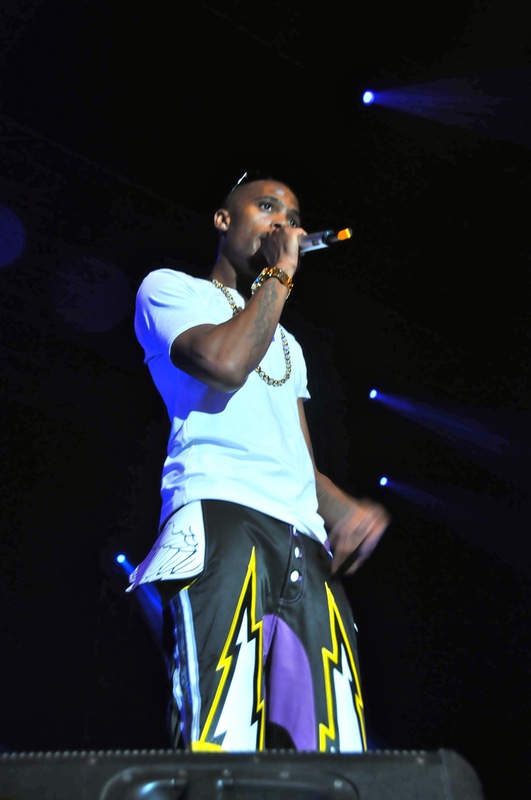 But it turned out that no one proposed the idea of writing about B.o.B‘s concert, that was called The Adventures of Bobby Ray (hence the title), just yet. So I got the ‘part’. When I got to Istora Senayan, I definitely felt sorry for the whole thing. There was hardly anyone there. It was probably the emptiest concert I have ever been. I wonder what happened with its marketing team, though. When I was there, their props, billboards, and banners were not bad at all. They were, in fact, very catchy. The committee’s t-shirt was probably the catchiest one I’ve ever seen. I would love it if I was given one. But seriously, where the heck was the audience? This article, I felt, was the most edited one. and I understand it through and through. When I was writing, I felt that my writing was rather ‘stiff’. And I could not find a way to smoothen things up. But my editor (and the proof readers), I guess, found a way or the other. The editing really made my article better. do help yourself by clicking here. p.s. he really DID ‘crowd surf’!